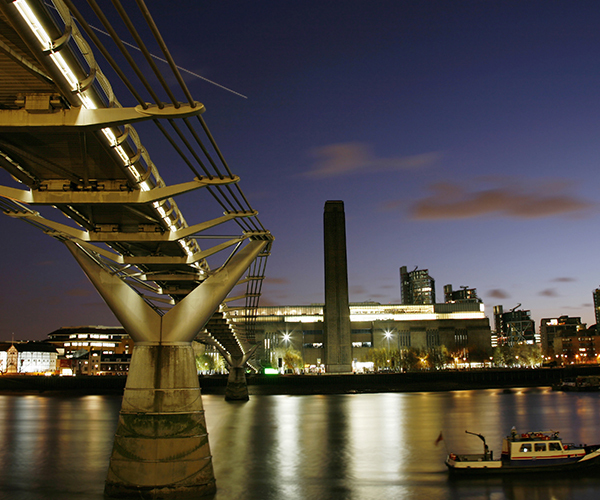 Take an expert Blue Badge guided tour of one of the premier modern art galleries in the world. 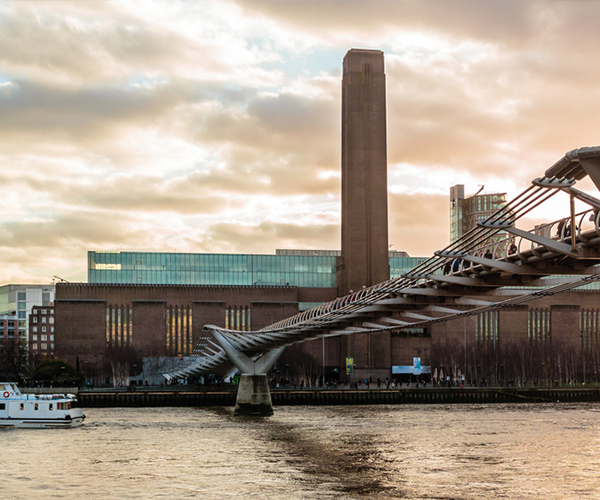 Take a private guided tour of the Tate Modern which is housed in the former Bankside Power Station designed by architect Giles Gilbert Scott. This massive brick structure was converted into an art gallery in the year 2000. The Tate Modern collection comprises the nation’s collection of international and British art dating from 1900 to the present day. In addition to temporary special exhibitions, the main collection of modern and contemporary art is organised in four themed displays that are rehung periodically, so there is always something fresh to enjoy. Highlights from this world-class collection tell the story of the development of modern art: consider the radical conceptual icon Fountain (1917) by Marcel Duchamp, Futurist works such as The Uncertainty of the Poet (1913) by Georgio de Chirico, Dada landmarks including Cadeau by Man Ray and Cubist masterpiece The Three Dancers (1925) by Pablo Picasso. A superb Abstract Expressionism collection is championed by the Seagram Murals (1950s) by Mark Rothko; originally commissioned as the décor for a New York restaurant, they are now one of the treasures of the Tate Modern. You will also find major works by celebrated British and international artists ranging from Claude Monet, Jackson Pollock, Wassily Kandinsky, Henri Matisse and Salvador Dali to Richard Hamilton, Andy Warhol and Joseph Beuys. The collection also features important work by contemporary artists such as Damien Hirst, Gerhard Richter, Bill Viola and the British conceptual art movement known as the YBAs. Your private guide of the Tate Modern will tailor your tour to your interests and as the Tate Modern sits on the south bank of the river Thames boasting spectacular views of St Paul’s Cathedral and the City of London skyline, no tour would be complete without visiting the recently added Blavatnik Building to admire the views. If you require a guide with a private car to conduct your tour please tick above. This will send your request to one of our driver guides who are UK licensed, registered and insured.